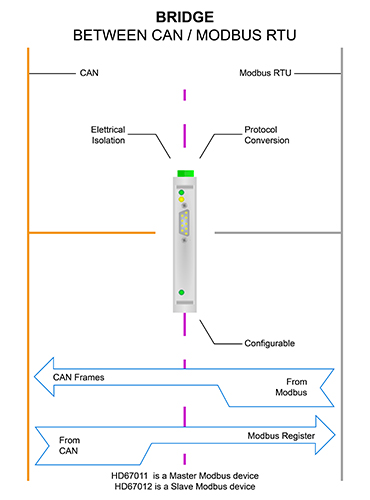 This serie of products allows to integrate a CAN network with a Modbus net. 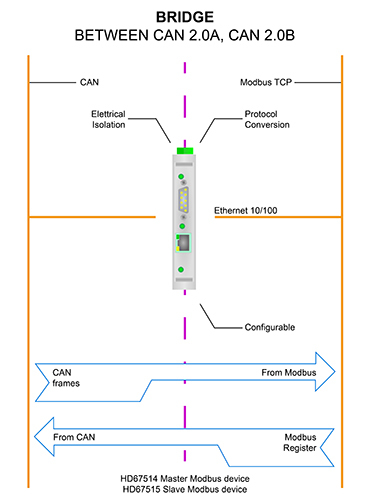 The HD67011 is a CAN / Modbus Master Converter and it allows you to connect some Modbus Slaves with an existing CAN network. The HD67511 is CAN / Modbus Master Converter too. It can manage more traffic on Modbus and CAN side and its hardware is more powerful than HD67011. 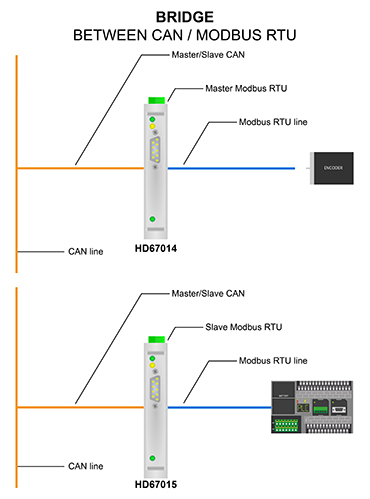 The HD67012 is a CAN / Modbus Slave Converter and it allows you to connect a CAN network with a Modbus Master (for example a PLC, HMI...) in order to exchange the informations between the networks. The HD67515 is a CANopen / Modbus TCP Slave Converter and it allows you to connect a CAN network with a Modbus TCP Master (for example a PLC, SCADA system...) in order to exchange informations between the networks.